So today I took a very important test that I spent the last eight months preparing for. That went well. 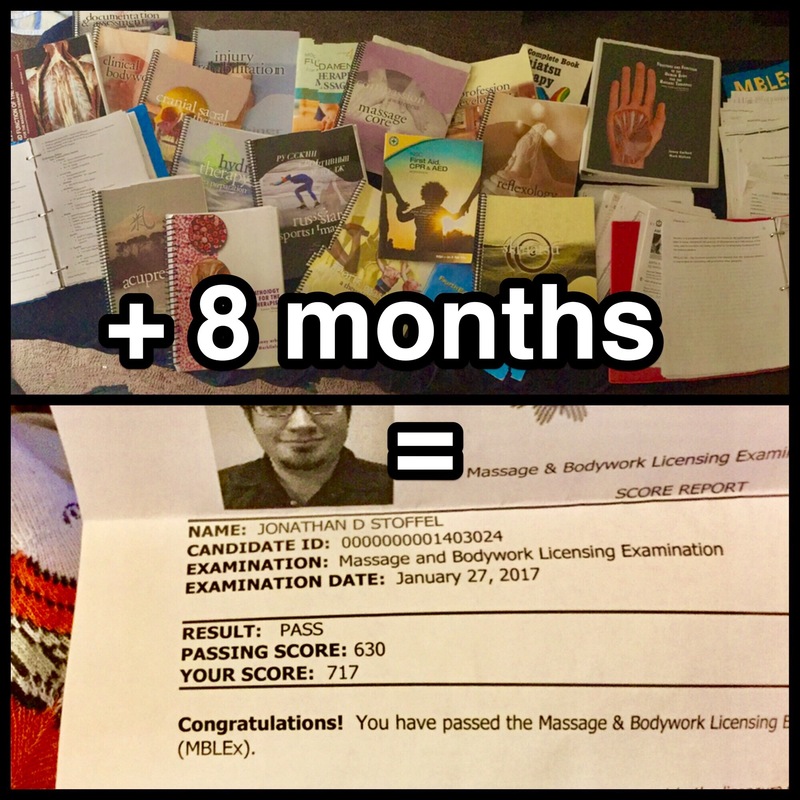 I passed! Part of that I credit to a teacher’s advice to shut my books and do something creative before the test. So, with just hours to go before the test, I smashed through the first story I’ve written in over a year. It felt good. This story was prompted by Chuck Wendig’s flash fiction challenge, hope in the face of hopelessness. This may not be as serious as some other entries there (which I recommend reading, there’s some good stuff coming from these challenges), and it may quirk a few of my regular readers’ eyebrows, but I enjoyed exploring a perspective somewhat different from my own. I hope you enjoy reading it, just below! The following blog post was written a couple weeks ago, but I typed it up on a device with no way to transfer it to the Netz. Since I went to the trouble of scribing it (and acquiring the appropriate cable) I’m posting it anyway. Join me for a look at my world a couple of weeks ago, back before life found its new complications that have successfully deterred me from making any progress whatsoever! Wow, it’s already near the end of NaNoWriMo. How exciting! I mean, I totally blew off NaNo, as I do basically every year, but this time it was a quiet acceptance that I am just not up to doing it right now. So what else is up with me? We’re finally basically settled in Florida, since both Heidi and I are bringing in money (she more than I, darn accounting degree) and the housing situation is reaching a sort of balance. Perhaps it could be said that I don’t deal well with change. Perhaps it could be said that I’ll take any excuse to not accomplish my goals. Perhaps, perhaps. But let us focus on more positive developments! My work situation is such that fitting a consistent writing schedule is possible. And my emotional situation (for such must be considered when dealing with psychological issues and a creative career at the same time) is somewhat stabilized. Some people take adversity as a boost to their work ethic, but I do not. Instead, I just shut down. We’re moving past that. Slowly but surely. Productivity is challenged, of course, by the recent release of Fallout 4. Yes, yes, I’m one of those. I can stick my head into the open-world bucket and not come up for air for hours. At least I can claim that I come by it honestly, for my sister has been doing the same thing with Fallout 4 for hours a day. Maybe it’s genetic? A major, huge, gargantuan shout-out to Heidi, who went way out of her way to plan and execute to get the game for me on release day. She even went to the midnight release with me, the madwoman. I very much appreciate it, especially since she must have known that my productivity would be hampered. I have an editing project that has been sitting on the burner so long that it’s developing a nasty crusty layer on the bottom. No longer, I shall begin to stir that pot once again. People are actually expecting this from me, so the motivation is not lacking, just the mental capacity. And, hey, this blog post is something like a step in the right direction. Thanks for sticking with me. It’ll only get better from here! Art is the mind-freer. Art is the little death that reigns total destruction on despair. I will face my art. I will allow it to pass through me. And when it has gone, only depression will remain. Thus goes the first verse of the Holy Depressant’s Litany Against Art. Writing is the admission that things aren’t as bad as they seem. I will face my deadlines. I will let the writing time pass through me. And when time is gone, I will enjoy that whooshing sound it makes. Thus goes the second verse. How do I know? Because I totally just made it up. Fascinating, yes? Wait, I am being handed a note… thank you, Sven… hmm, yes, it seems that is actually not fascinating at all. My brain is scattered today, ladies, gents, and otherwise. I attended a job fair. It was a lot more ‘fair’ than I anticipated, as in held on fairgrounds. We parked in soggy grass. It did not get much easier to mentally parse after this. Thanks for bearing with me. I have a passel of job-search-related activities I must do, so hopefully more ‘real’ writing can take place this weekend and beyond. And drawing, yes, I promise!